Over the past ten months I have made no secret of my admiration for football in the 1950s. We have written pieces on the 1950, 1954 and 1958 World Cups as well as biographies on Ferenc Puskas and the appointment of Bill Shankly at Liverpool in 1959. Following the Second World War, football like the rest of the world was in disarray, however the 1950s would bring with it a global regeneration of the game and the way it was played. In England, West Germany, Italy and elsewhere the 50s would change the face of football forever. 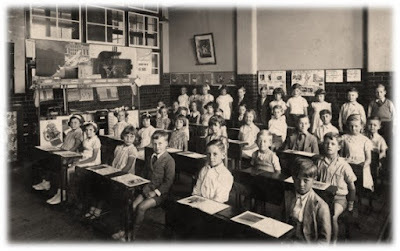 English football perhaps underwent the largest reorganization in the decade, after being widely renowned as the "masters of football" before World War II, despite never appearing at a World Cup finals prior to 1950. The Football League however did remain the leading example in the domestic game with its 4 divisions of professional football. No team dominated the early 1950s with Spurs, Manchester United, Arsenal and Wolves sharing the spoils. 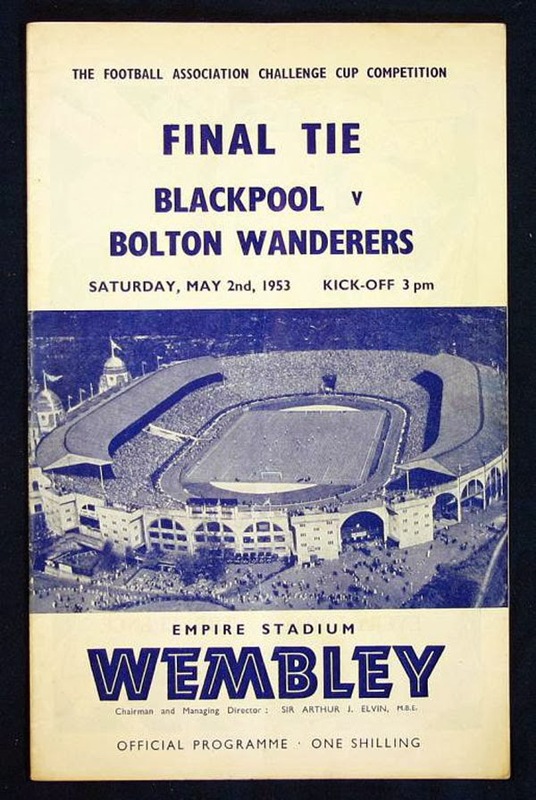 Also in the mix was Stanley Matthews and Stan Mortensen's Blackpool who would win the 1953 FA Cup Final, arguably the greatest to date - a 4-3 victory over Bolton. After finding themselves 3-1 down, Matthews inspired a comeback, with Mortensen scoring a hat-trick (the only ever player to do so in an FA Cup Final), with the match being later renamed "The Matthews Final". 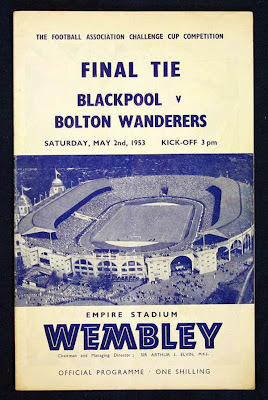 Towards the latter half of the 50s, when the rock and roll scene was beginning to take over the United Kingdom we also began to saw the dominance of two sides...the aforementioned Manchester United (under former Liverpool player Matt Busby) and Wolverhampton Wanderers. Wolves in 1954 were even described as the "world's best team" after beating Ferenc Puskas' Budapest Honved 3-2 in a "floodlit friendly", perhaps a precursor for the 1955-56 season which saw the arrival of Europe's premier club competition - The European Cup. However, back to England and following a first league title for Chelsea in 1955, came wins for United in 1956 and 1957. The '57 victory being all the sweeter for the arrival of nineteen year old Bobby Charlton making his debut for the Red Devils. The following two seasons were won by Wolves under the leadership of Billy Wright, who also became England's first centurion. With success came tragedy in 1958 as the infamous Munich Air Disaster, killing 23 people, including eight players, after a failure to take off from the Munich-Riem airport due to a slush-covered runway. Amongst the "Busby Babes" who died was English full-back Duncan Edwards, a player who at just 21 years of age has been widely regarded as perhaps one of the best talents never to fully play the game. Much like the Superga Disaster nine years previous, which killed much of the Grande Torino team, football was starved yet again of one of the greatest teams to ever grace the game. As always we like to delve into the history of the Welsh teams within English football. After an indifferent 1930s and '40s both South-Wales teams were found in the second tier of English football, Cardiff narrowly missing out on promotion in 1951 before succeeding the following year where once again they could mix it with the big guns of the Football League. Swansea on the other hand could not match their rivals for success, remaining in the Second Division for the entire ten years, finishing, at best, mid-table. Folowing five seasons in the top flight Cardiff also succumbed to the cruel nature of relegation 30 years after their FA Cup Victory in 1927. Alongside the two Welsh clubs in Division Two was Liverpool - who at the end of the decade were to be introduced to a new man in charge...Bill Shankly. The 1950s will be remembered as the decade of changing the whole look of football, not just in Britain but also abroad. The 10 years marks the real rise of European football on a global scale with the already mentioned European Cup. The first tournament was held in 1955-56 and was won by the decade's greatest club side, Real Madrid. Of course Madrid had been a controversial force in football, not least for their support for General Franco in the Spanish Civil War, but with players like Alfredo Di Stefano, Raymond Kopa, Francisco Gento and Puskas they would go on to dominate Europe. The first final was won 4-3 over French side Stade Riems in Paris, who had international star Just Fontaine at their mercy, before further wins over Fiorentina, Milan and once more Riems meant that every European Cup of the 50s was won by Madrid. Madrid's third final win came over Italian giants Milan, the most successful side of 1950s Italy. In a previous post we have recognized the Rossoneri revolution of the era influenced by Swedish trio Gunnar Gren, Gunnar Nordhal and Nils Liedholm, also known as Gre-No-Li. They three would help inspire Milan to four Scudettos and two European Cup finals leading to legendary status for all three. Further Serie A wins came for Juventus (2), Inter (2) and a first title for Fiorentina in 1956. Juventus' second of the decade was their tenth overall (earning themselves a star on the crest of the club) and Welshman John Charles was the league's top scorer in their 1957-58 campaign - Charles in fact was named in 1997 as the Turin club's greatest ever foreign player! 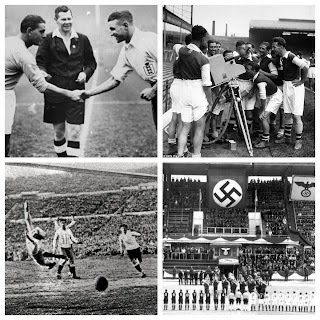 German football or "West" German football was also majorly reinvented by 1960, helped in the main by "The Miracle of Bern" - the comeback from 2-0 down inside the first ten minutes against arguably the best international team of all-time "The Mighty Magyars". The result helped changed wider opinions of the nation who had shown great courage and guts in order to win the World Cup against more than just the scoreline after 8 minutes. In terms of domestic football, Stuttgart and former P.O.W Fritz Walter's Kaiserlautern alternatively won titles between 1950-53, before Hamburg and Rot Weiss. Essen both defeated Walter's team the following two seasons. In 1956 came to emergence of a new German powerhouse - Borussia Dortmund, winning consecutive championships (1956 & 1957), another team putting its unfortunate Nazi past behind them. Schalke and Eintracht Frankfurt finished the era with titles, the latter even reaching the following season's European Cup final - but that's a story for another decade! Elsewhere across the footballing globe came the first sight of Edson Arantes do Nascimento, known by you and I as Pelé. It would be criminal not to mention the Brazilian who is widely regarded as the greatest player, certainly internationally. In 1958 he would spearhead the South American nation to their first and slightly overdue World Cup victory in Sweden aged just 17. The 1960s are perhaps the decade that Pele really proved his undoubted brilliance, but in a ten year period of Di Stefano, Puskas, Nordahl, Matthews and Edwards it is surely essential that his youth is mentioned by The Football History Boys. As far as World Cups were concerned the 1950s saw a revolution in the tournament - read our three blogs here! There is a number of matches which could quite comfortably be regarded as the best game of the decade. 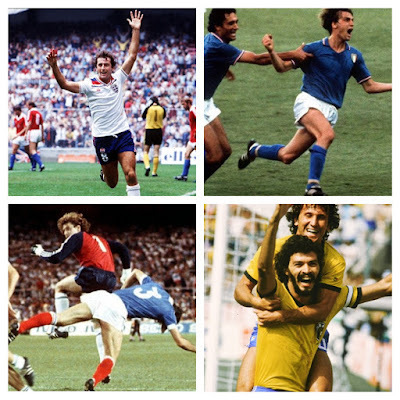 The Matthews Final or any of the World Cup finals won by Uruguay, West Germany and Pelé's Brazil all provide worthy adversaries, but the greatest game of the era and possibly the century must be Hungary 6-3 England. The game occurred exactly 60 years ago tomorrow (25-11-2013), and is rightly remembered as a match which changed the face of football in England, highlighting outdated tactics and training. Hungary led by Ferenc Puskas ran riot from the first minute, inflicting the first ever victory by a team outside of the British Isles on England." Dragback" goals and all this was a watershed moment in English football history. Was the match a fluke? Not a chance, skip forward a year and once again the teams met...the score? 7-1 Hungary. So there we have it, ten more years of brilliance, regeneration and tragedy. The 1950s should be remembered by football fans and historians alike as the decade in which football changed into the global game we watch today. The 50s saw perhaps the greatest players, teams and tournaments ever, changing the face of football forever!